2mm in diameter, 40 meter spool, Yellow colour elastic beading cord. 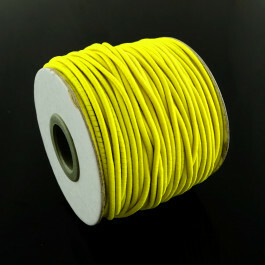 2mm in diameter 40 meter length spool, Yellow colour elastic beading cord. This cord is nylon on the outside and rubber core..